In April 1975, Pol Pot ordered the conversion of a high school campus in Phnom Penh into a center for the detention, interrogation, torture, and murder of those he considered to be a threat to his political ambitions. Known as S-21, or Security Office 21, the Khmer Rouge efficiently and systematically tortured thousands of people within the walls of this campus. Although the lives of these of men, women, and children were forever silenced in classrooms turned into torture chambers, these unfortunate victims still have a voice. Today, S-21 is known as the Tuol Sleng Genocide Museum — a place where Pol Pot’s bloody fingerprints were smeared across a three-year slice of history and remain preserved as evidence of his crimes against humanity. I have visited S-21 several times and still find it a sobering reminder of the logical conclusion of a world view that failed to regard human life as sacred. 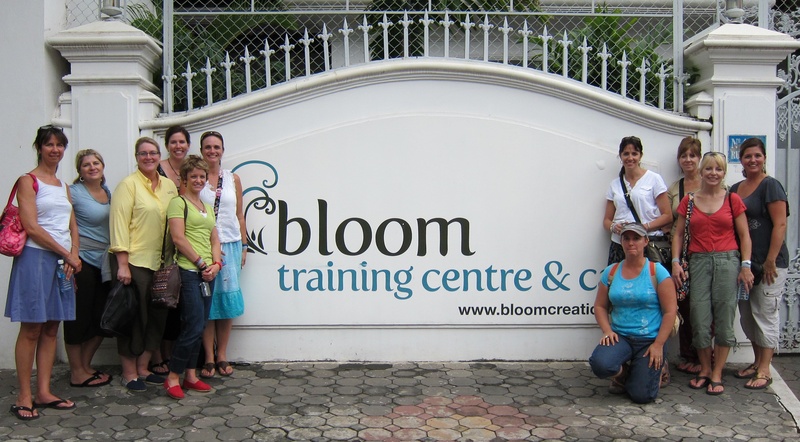 This morning I took our team of ladies to visit Tuol Sleng. We walked slowly from one end of the campus to the other while I told them the story of what happened there. The instruments of torture and the rooms where so many died remain as mute witnesses to the horrors that occurred there in the mid-1970’s. It was a difficult experience for our team of women. Each of them had tears in their eyes as the story of Pol Pot’s unimaginable cruelty unfolded. Afterward we drove to Choeung Ek — one of several killing fields where the Khmer Rouge disposed of those they murdered in mass graves. Once again, our ladies wept as we walked through this place where death reigned supreme during the Pol Pot years. The sight of the killing tree and the adjacent mass grave where the bodies of mothers and their children were disposed of was especially difficult for our ladies to see. 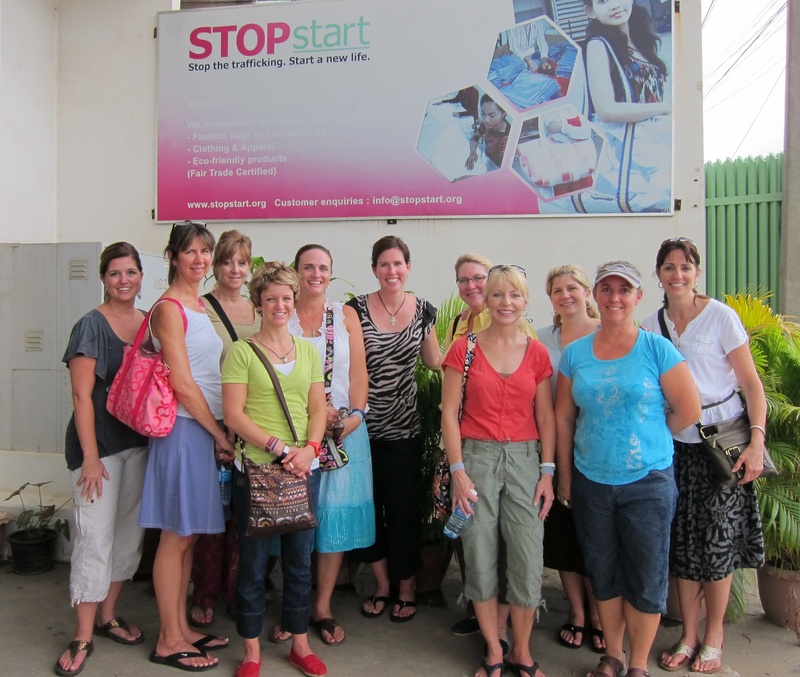 After lunch we visited STOPStart, an enterprise established in 2009 “with a vision to provide sustainable employment for those most vulnerable in Cambodian society — primarily those women and men rescued from human trafficking and modern day forms of slavery.” Unlike the places we visited this morning, STOPStart is a place of hope. Less than a year ago, my friend Steve Hyde introduced me to Hugh Marquis, the Australian businessman who is behind this life-changing enterprise. Hugh loves the Cambodian people and especially those who have suffered under the hand of oppressors. Hugh and his team are working to make a difference by providing the oppressed and the weak with an opportunity to learn life-sustaining trades. From STOPStart we made our way to Bloom Café — a unique bakery that makes cakes and other baked goods for the King of Cambodia. They are making a difference in the lives of many young girls, or as they say at Bloom, they are “baking a difference.” Their desserts were amazing but what we found even more amazing is how God is using a creative enterprise like this to transform the lives of young girls who might otherwise have little hope of escaping the darkness. This will be a a place to visit again on future trips because you can sense hope when you walk through their doors. So, today has been a day of extremes. Our women have seen Pol Pot’s destructive legacy. But they have also seen how Christ-followers are sowing the seeds of life through creative enterprises in a place once steeped in death. Tomorrow we will drive across the country to Poipet to get ready to serve the children there by sowing more seeds of life and hope into a dark place. Praying for y’alls journey. Thanks for this update… tears flowed down my cheeks but I felt the hope from your words about STOPstart. He is a mighty God! Thanks for your prayers, Sterling. This was indeed an intense and emotional day for our gals. Thanks for praying for our teams, Jeanne. I’ll give your regards to Kelly.